Sackville is the last remaining corvette. Based on a British Admiralty design, these seaworthy, relatively inexpensive,and quickly-constructed warships were built in large numbers during World War II for the Battle of the Atlantic. Of the 236 corvettes that were laid down in Canada and Britain, 111 sailed from Canadian slips. 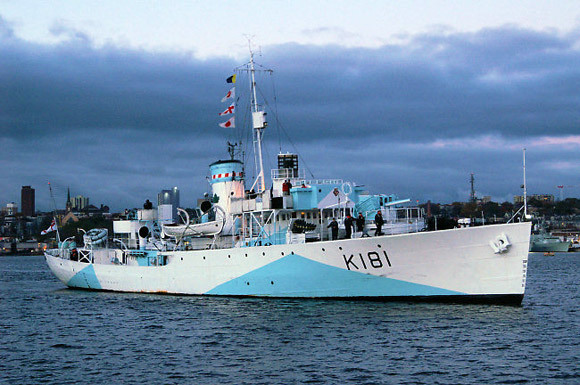 HMCS Sackville entered service in December 1941. The ship's operational career was spent escorting convoys between St. John's, Newfoundland, and Londonderry, Northern Ireland. On August 3-4, 1942, while escorting an eastbound convoy, Sackville engaged three U-boats in a 36-hour period. In the foggy weather, Lieut. Alan Easton and his crew seriously damaged one submarine, hitting another with 4-inch gunfire, and shook up the third with depth charges in an action that won the DSC for Lieut. Easton and commendations for the crew. At war's end, Sackville was employed as an officer training ship. Laid up in reserve, the corvette was reactivated in 1952 and spent the next 30 years engaged in oceanographic, hydrographic, and fisheries research. 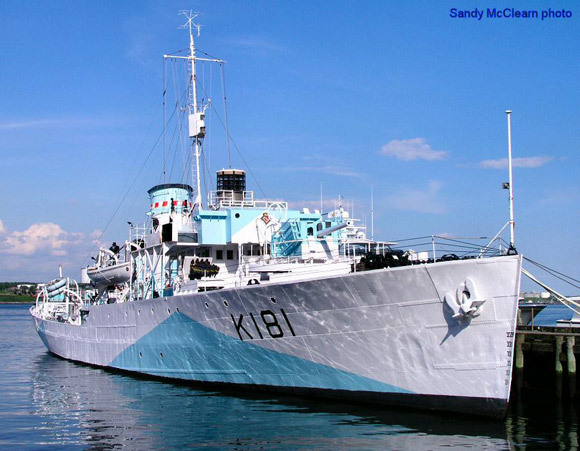 Retired from the Royal Canadian Navy in 1982, Sackville was transferred to the Canadian Naval Corvette Trust and restored to her 1944 appearance. On May 4, 1985, Sackville was formally dedicated as the Canadian Naval Memorial. Copyright © 1997-2011, Historic Naval Ships Association.